An elegant, heart shaped, wooden puzzle guest book alternative with a finished border/frame. 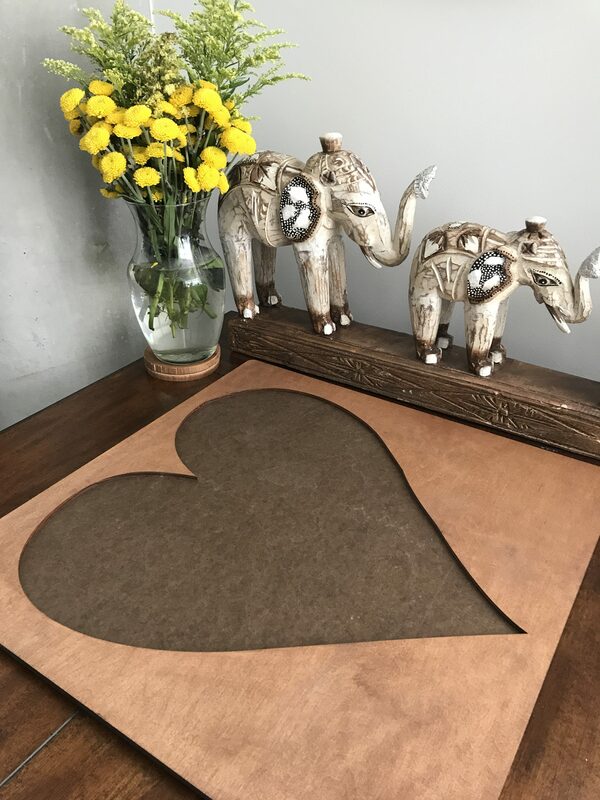 If you’re using it at an event, this guest book is a unique, thoughtful and exciting way to involve guests for any occasion. 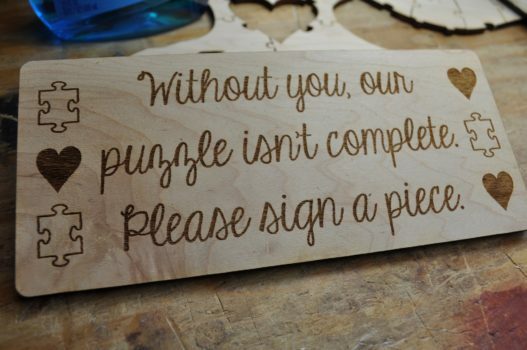 Whether it is a wedding, baby shower, birthday, bar mitzvah, or fundraiser, guests will love leaving a note that you will cherish for a lifetime. 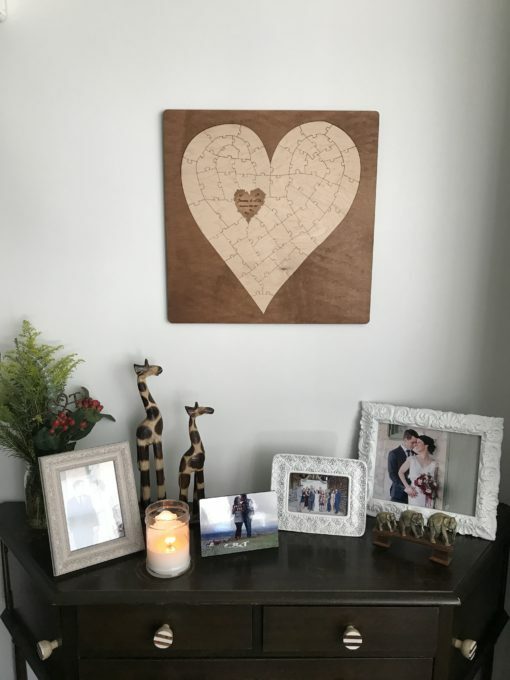 This heart puzzle also works great as a coffee table puzzle, established sign decor and wall art. Display in your home (framed) or challenge yourself to put it back together years down the road. It comes in a variety of sizes to accommodate events of many sizes. Please choose between the 25 piece, 50 piece, 75 piece, 100 piece, & 150 piece puzzles. 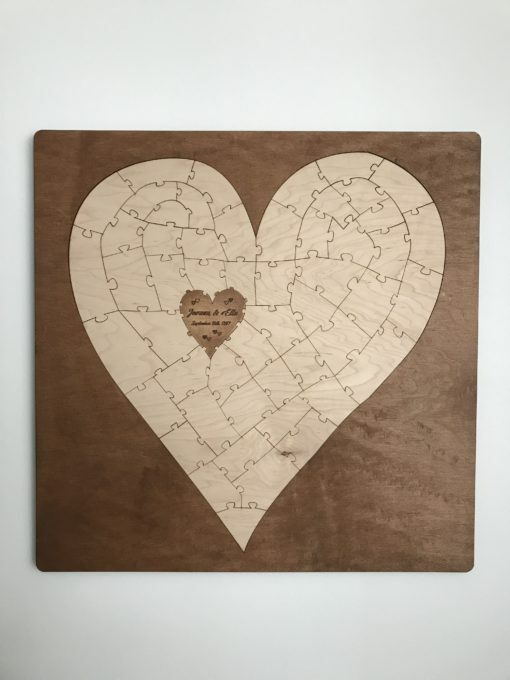 The 25 piece puzzle is approximately 18.5 inches wide and 18.5 inches tall. The 50 piece puzzle is approximately 20 inches wide and 20 inches tall. 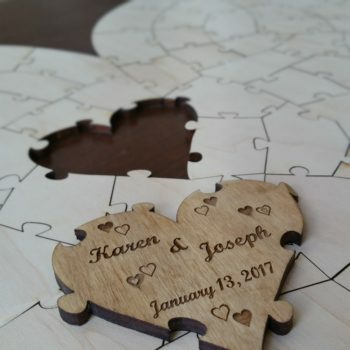 The 75 piece puzzle is approximately 21.5 inches wide and 21.5 inches tall. The 100 piece puzzle is approximately 22.5 inches wide and 22.5 inches tall. 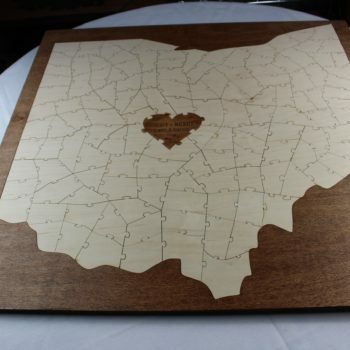 The 150 piece is approximately 23.5 inches wide and 23.5 inches tall. 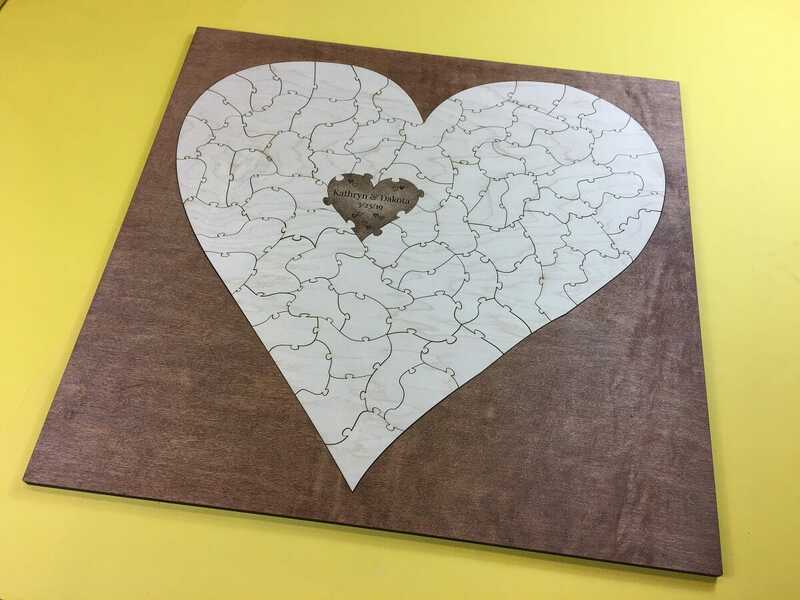 This bordered puzzle is built with wall mounts attached to the backing, 16 inches on center, so it can easily be hung on the wall. You just have to secure the pieces in place so they don’t fall out. For a non-permanent bond, you can use double sticky tape, glue dots or tacky putty. 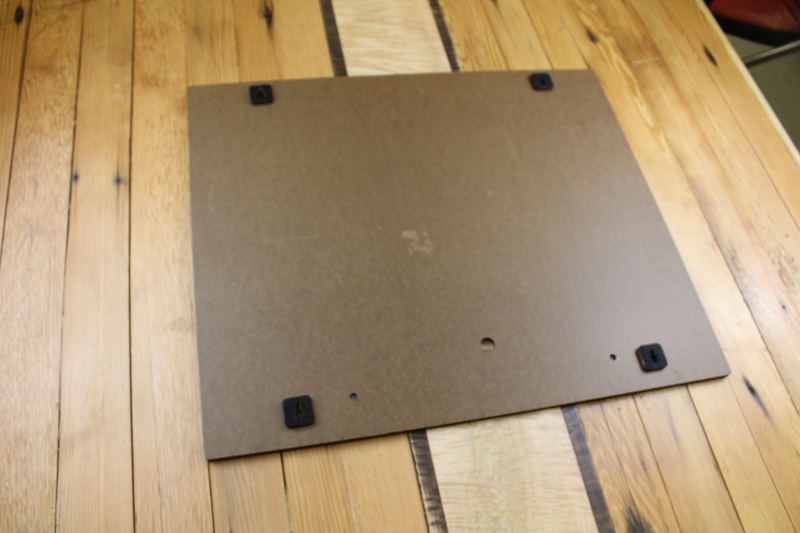 For a permanent bond, you can use wood glue or apply clear polyurethane. Select your font preference:, refer to the gallery image that includes several font options and select the corresponding letter from the dropdown menu (ex. “C”). Don’t see what you’re looking for? You can select “Other” if you have a font in mind and it is free to download. Just be sure to leave the link where to download it in the notes section during checkout. A selection of free fonts can be found at fonts.google.com and dafont.com. 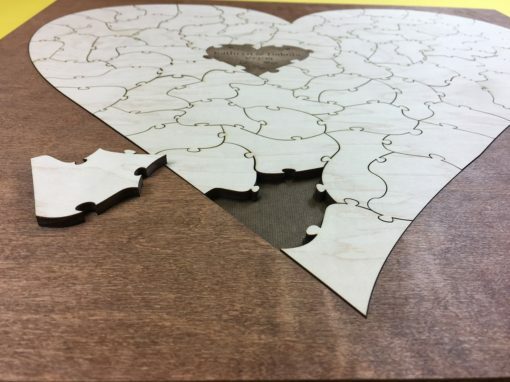 All puzzles are cut from quality quarter inch maple plywood. The center heart piece will be finished with an extra (secret) step to make the text pop. It ships by USPS priority and takes 2-3 days from the ship date to arrive anywhere in the lower 48 states. Tracking info will be emailed to you once the item is shipped so you can track the package. If you’re in a time crunch and need it quicker than that, don’t hesitate to contact Casey, the shop’s owner, by filling out the contact form or by directly emailing crg8284@gmail.com.